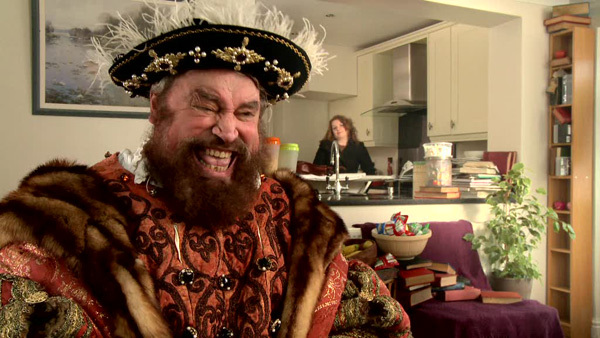 Home » Historical » Elizabethan » Brian Blessed Wins Animal Rights Outburst… Dressed As Henry VIII. If you’re going to single-handedly champion a controversial political message amid 200 fierce critics then dress as Henry VIII, use the C-word and – oh – be Brian Blessed. The 81-year-old acting legend was hosting a dinner for a group of farmers run by the pig and poultry company ABN at Coombe Abbey Hotel in Coventry. Naturally with such a figure standing in the socially-awkward space of a corporate event, it is no surprise someone used the outfit as an easy icebreaker when they asked what Blessed would do if he really were king. When he responded that he would ban badger culling the audience errupted in abuse. The Sun reported that he roared “You’re all c***s, I hope you all die of TB.” He then stormed out, yelling it had been a “s*** idea” for him to host the pig and poultry farmers’ do. Few details have been given of Blessed’s outfit for this outburst other than that he was dressed as a Tudor king. Nevertheless the Shakespeare enthusiast frequently looks like he could have stepped out of a Holbein painting and featured in the BBC comedy sketches ‘Henry 8.0’.